I'm not entirely sure the world needs this, but consider me interested for now. I've wanted an Unbreakable sequel since Unbreakable came out, and Split was great! Like Mardroid said, interesting if the set-up is the main characters are all in a prison or asylum like it looks in the poster, I can't imagine how that's happened with James McAvoy's character being so powerful. Bruce Willis' I could actually understand being locked up, caught on CCTV beating up a future criminal and then naturally he's too upstanding to resist arrest. I really hope they team up and fight the trees from The Happening. Watched the trailer a few times now and am more convinced. 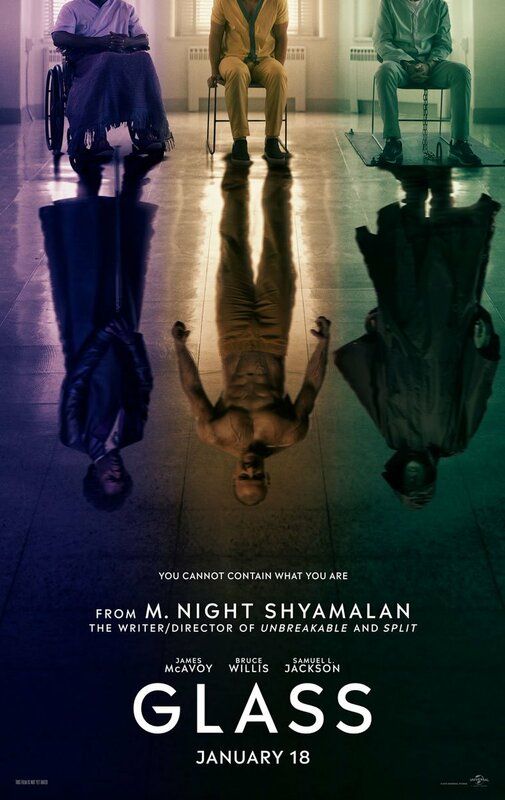 Looking forward to it as a hopeful return to form for Shyamalan, as after the awfulness that was The Village I didn't see any of his subsequent films until Split. This looks good though.